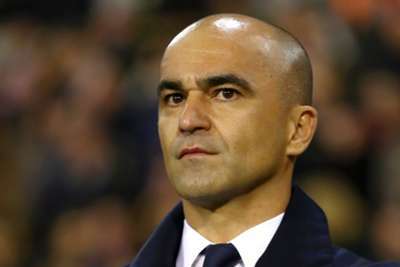 Roberto Martinez commended Belgium for producing a "very mature" performance in Sunday's 2-0 Euro 2020 qualifying win away to Cyprus despite an apparently unsatisfactory pitch. "This type of match is difficult if you don't start well," Martinez told VTM. "Certainly, because the pitch was very dry. Two victories to start our road to @UEFAEURO 2020! Thank you @Fanclub1895 . Your support Thursday in Brussels and today in Nicosia was amazing! "Fortunately, we started well, with a lot of sharpness, and two early goals as well. After the break we had control and we played very mature. "The six points out of six is ​​the perfect reward for our hard work, but nothing has been decided yet. "Now we have to focus on the next two matches against Kazakhstan and Russia [in June]." "Goals are like vitamins to me. I live from them," he added. "It was difficult, for me and for many other players.